Loans insured by the Federal Housing Administration feature low interest rates, flexible credit requirements and down payments as low as 3.5 percent. In addition to the down payment, you will also need to pay certain costs associated with closing the loan. Whether you are buying a home or refinancing your current loan, the FHA allows you to finance closing costs, provided certain conditions are met. You can roll certain closing costs into the FHA loan if the purchase price and closing costs do not exceed 96.5 percent of the home's fair market value or sale price, whichever is less. If you put down the minimum 3.5 percent, you will need to pay the closing costs in cash. The FHA also requires an up-front mortgage insurance premium when you put down less than 20 percent. The premium is added to the loan balance. The remaining insurance premium is added to your monthly mortgage payment. The FHA requirements define which closing costs are allowable as charges to the borrower. Some of the allowed closing costs include loan origination, appraisal fee, credit report fee, lender's inspection fee, deposit verification fees, attorney's fees, cost of title insurance and title examination, document preparation fees, transfer stamps, recording fees and taxes. 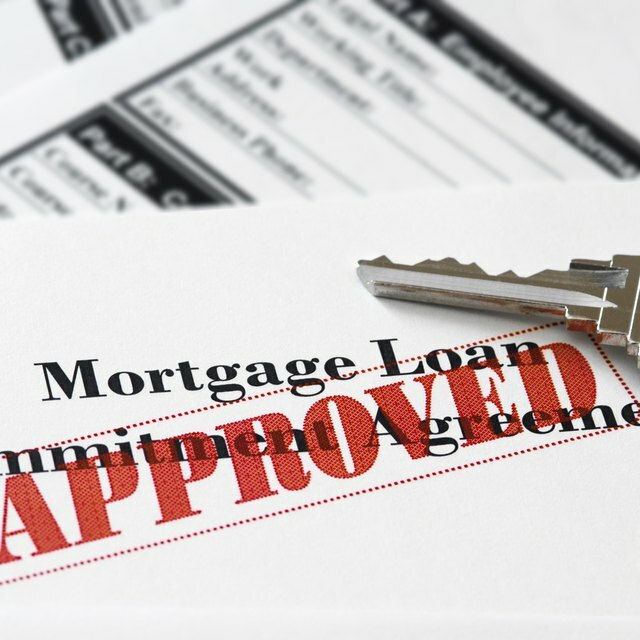 Closing costs directly related to the closing of the loan can be rolled into an FHA mortgage. Some of the costs that do not qualify include recurring closing costs, or "prepaid" charges. For example, you cannot finance your homeowner's insurance premium, interim interest, real estate taxes or other initial deposits for the escrow account. FHA does not require you to put any of your own money towards the closing costs. All of the closing costs can come from other sources, including nonprofit organizations, family members, employers and state bonded programs. As of 2013, the seller can contribute up to 6 percent of the sales price towards the buyer's closing costs. If the seller contributes more than 6 percent, the sale price must be lowered by the amount of the excess contribution. Are FHA Funding Fees Tax Deductible? When you refinance, you may choose to have the closing costs rolled into the new loan through a "no cost" refinance. However, you must have the property reappraised to ensure there is enough equity to cover the additional charges. You will likely have to pay a higher interest rate than if you paid the closing costs out of pocket. The FHA's streamline program significantly reduces closing costs for borrowers by lowering both the upfront and annual mortgage insurance premiums. According to the New York Times, the typical FHA borrower will save about $1,000 a year through the streamline refinance. FHA.com: What Costs Can the Seller Pay for the Buyer With an FHA Loan?